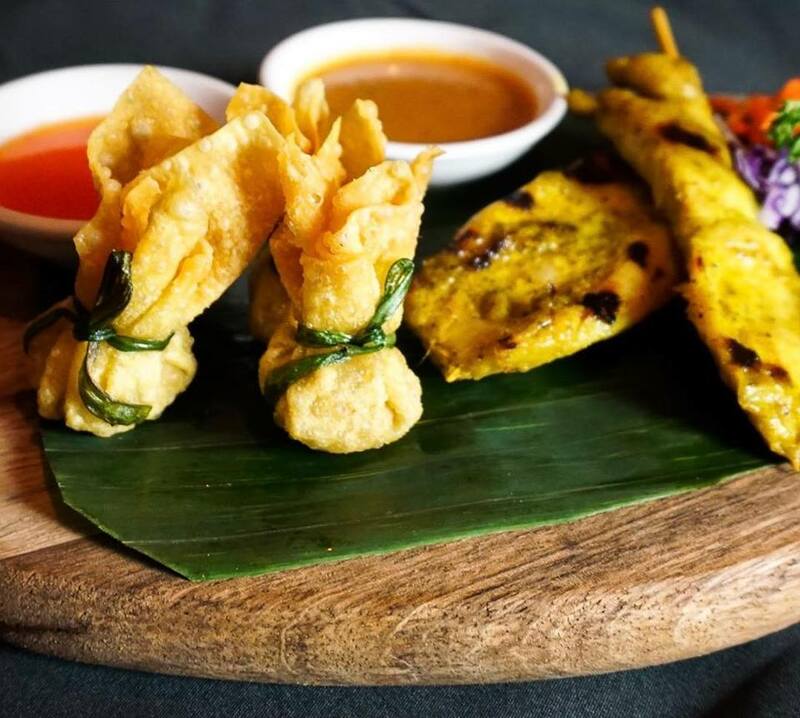 Get ready to celebrate New Year the Southeast Asian way! You don't need a passport for these cultural festivities in the DMV. If you've ever spent a spring vacation in Laos or Thailand, you know the huge party that comes with every New Year. Traditionally celebrated in April after the vernal equinox, the holiday signifies a time of renewal and rejoicing. How do you celebrate Lao or Thai New Year? Buddhist people will go to temple to bring offerings and special services. If you're going just for the festival markets, you can certainly observe but keep a respectful distance from the monks. 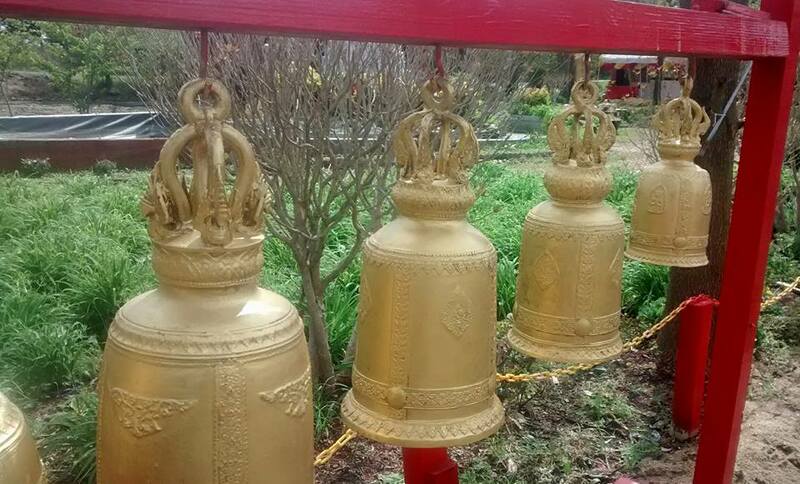 You can make a small donation of a few dollars to get scented water and incense to honor the temple Buddha statues. You'll notice people sprinkling or flat-out throwing water on one another. This is a hallmark of New Year celebrations and all done in good fun. Steer clear of kids with Super Soakers and you should be fine. The festivals will be teeming with great food and traditional music. Bring plenty of cash for the food vendors, though some of the other vendors (textiles, etc.) may be able to take credit cards. 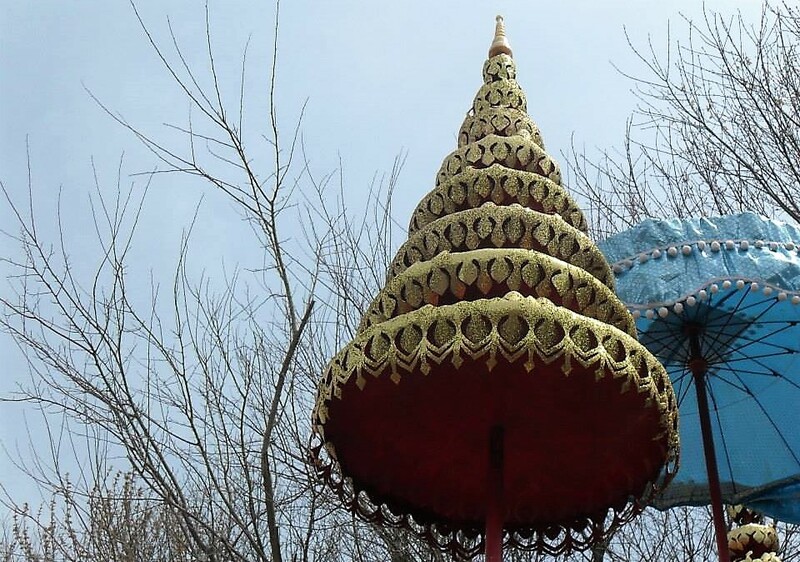 This Lao Buddhist temple has an enormous two-day festival complete with morning services followed by a traditional marketplace set up on the grounds. Food vendors will be selling grilled chicken, sausages, sticky rice, and much more. Papaya salad will be made right in front of you as you go from stall to stall. 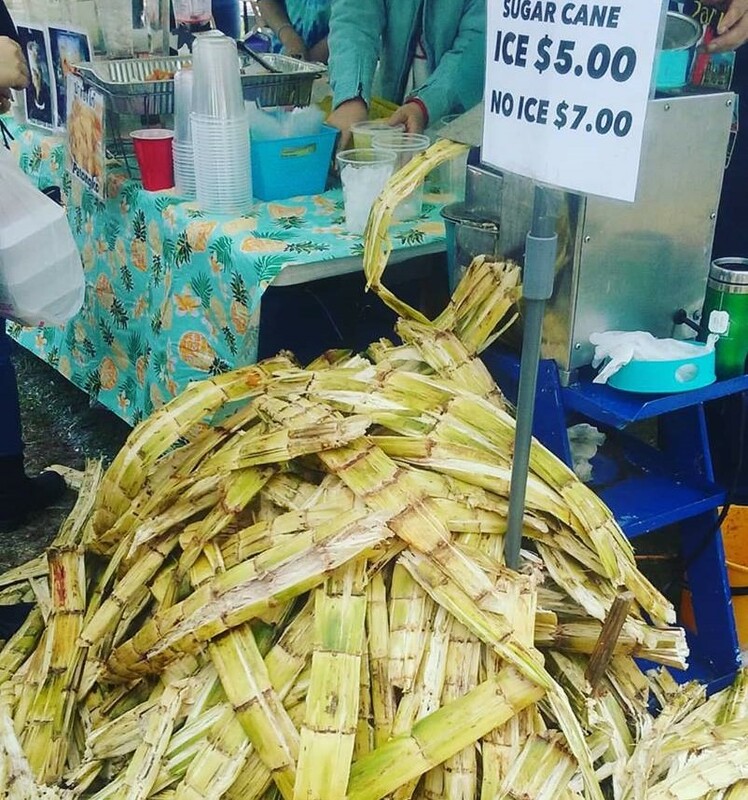 Don't forget to find the sugarcane juice vendor early -- they sell out by midday. Produce vendors from Florida and beyond bring citrus plants and exotic flower trees, fresh mangoes, and fruit you may have never seen before. Textiles, baskets, and other products are also available for purchase. 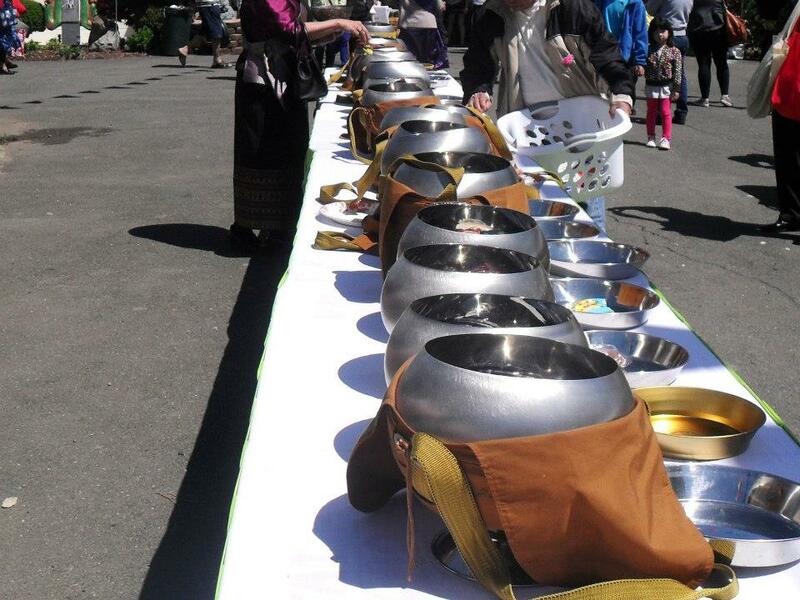 This is a great place to find kitchen goods like rice steamers and individual serving baskets. The festival setup at this Thai Buddhist temple is fantastic. You park in a field divided by rows of flowering trees all around the temple grounds. 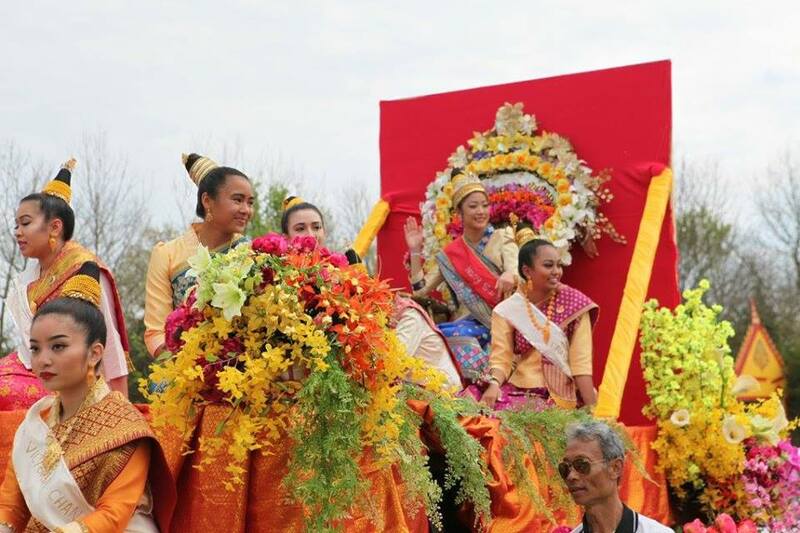 They will also have morning services and the requisite beauty queen competitions, along with traditional dance and music performances throughout the festival. The food vendors here will be Thai, so go for the noodles, seafood, and all of your other favorite Thai dishes. They will also have sugarcane juice vendors too, and plenty of handicrafts and Thai products. For more information, visit their Facebook event page. This Thai New Year Festival will have all of the bells and whistles, including Buddhist ceremonies, Thai dancing, and a full marketplace. For more information, visit their event website. ADDRESS: 1712 Connecticut Avenue NW | Washington, D.C. 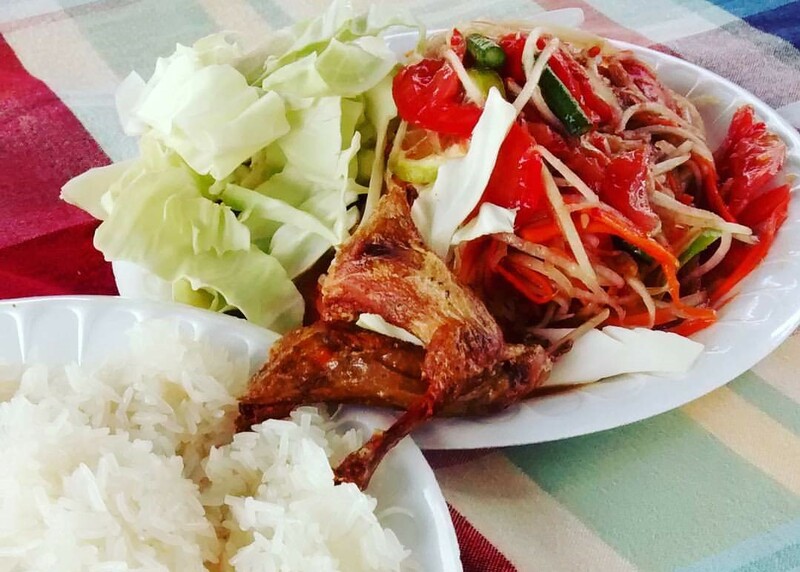 If you can't make it to one of the big temple festivals, head to D.C. for a delicious Songkran festival at Thai Chef Street Food. A $39 brunch with bottomless mimosas will run from 12 to 3 p.m. each day -- purchase your tickets online. Then, each night, a little night market space will be set up in the restaurant. A guest mixologist will be making special cocktails, and a dinner special of whole red snapper will be on offer as long as supplies last. There are two distinct parts of a New Year festival -- the Buddhist ceremonies in the morning and the marketplaces at the festival. It is COMPLETELY okay to just go for the food and market. Photography is encouraged throughout the festivals -- just don't get too close to a monk or any nuns dressed in all white. Seating is somewhat limited. Food vendors will have tables and chairs set up by their stalls, but you might want to bring along a picnic blanket or camp chairs if you need to sit. Most vendors will only take cash, so hit an ATM before you go. **All photos in this article are by Sarina Petrocelly unless credited otherwise. 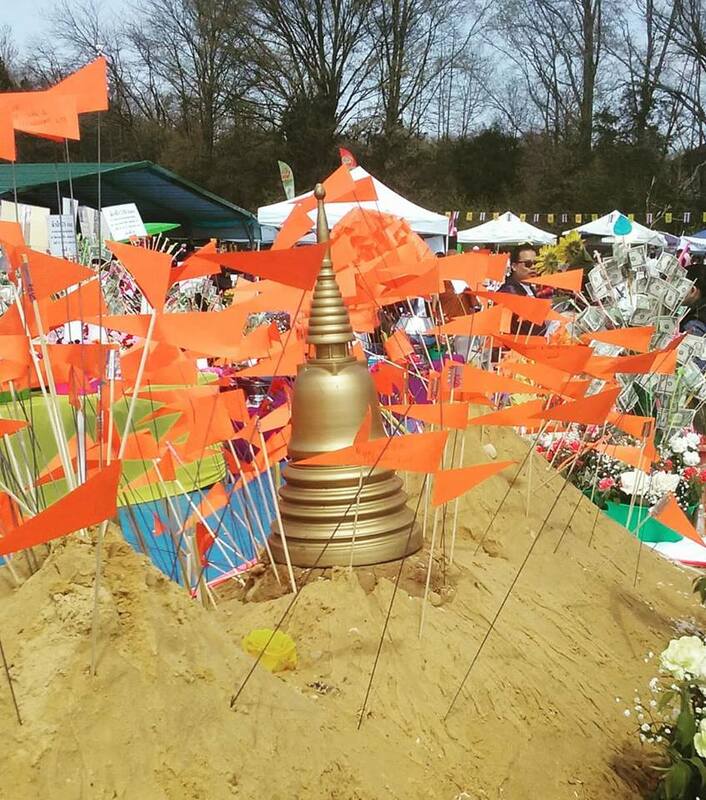 Have you attended a Lao or Thai New Year Festival? What was your favorite part? Let us know in the comments below! Here are 11 items you really should be buying at an Asian supermarket. OCN's Sarina walks you through it here!